I’m sure people can spend hours debating what they feel is the most difficult part of writing, and there will be many different answers. My personal struggle focuses on the idea itself. I usually try to think of something somewhat outlandish that quickly gets out of hand and makes no sense. Karen Lee Boren, a professor at Rhode Island College, takes a much more simple and (therefore) genius approach to her story ideas. She takes a few real life moments and verbally dresses them up in their Sunday best, making for some fascinating tales that resonate. Reading these 12 short stories reminds me of someone people watching. While people watching is a fun activity, one never learns the actual story of the people observed, and instead must make something up. 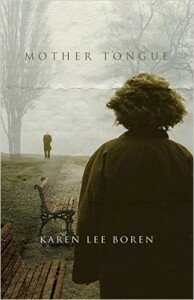 Boren seems to imagine a few moments of trials and tribulations, creating realistic tales in the process. It seemed like Boren took notice of the facial expression on a passer by and turned that into an entire story. There is a true sense of realism to 11 out of the 12 stories. Each could have taken place in a neighbor’s house. The characters seem real, each flawed and looking for love and companionship. Boren writes with such compassion that each character immediately becomes familiar, like catching up with an old friend. The fact that she is able to build these characters in such few words is impressive. While each story is good and well worth your time, there are a few standouts. “Collision” is essentially a different telling of “The Lottery,” but while listening to a tape recorder of the night after the fact. This is the story that requires a little suspension of disbelief, but is probably my favorite overall. Nikki gives the narrator an audio tape of a tragic night at the bar. Listening to it brings a lot of memories back to the narrator and how the night went terribly wrong. “Laden Things” is a heartbreaking story of a woman whose life fell apart after her husband went to jail. With no real purpose in life, she makes her way from Chicago to Providence, settling in tent city at an I95 overpass. She goes on nearly unnoticed, except for one friend. You can feel the heartbreak and struggle in each word of this story. It’s almost like living through this tragedy yourself. “Entrudo” tells the story of Lizzie, a tour guide for rich people visiting Brazil. She is down on her luck, and the task of always having to be happy-go-lucky or else customers won’t be happy is starting to take its toll on her. An odd night at a Carnivale-themed dinner finds Lizzie face to face with an intruder, something she is able to keep quiet. She realizes the purpose for this intruder the next day, though still stays quiet and does something seemingly heroic at the end, although unappreciated. These stories all have a sense of darkness to them, a flash picture of moments the protagonists probably wouldn’t want to relive. There’s an uneasy feeling while reading these stories as the characters were dealing with their own personal struggles, which is why I was glued to every word.